M is for the many things she taught us, especially in the kitchen. For mothers, is there one thing you wish your children -- adult or otherwise -- knew about cooking and feeding themselves? And for the rest of you: What’s the most important thing your mother taught you about food and cooking? Post your comments here, or e-mail them to me at kpurvis@charlotteobserver.com. How's this for the perfect name for a chef? Patrick Maisonhaute. Maisonhaute is executive chef at The Eseeola Lodge at the Linville Golf Resort, the featured restaurant for Wednesday's annual Taste of the New South, the fundraiser for the Levine Museum of the New South. Tickets are $85 for Levine members and $100 for nonmembers. Call the Levine, 704-333-1887, for details. It's not too late to get a ticket for Taste of the Nation, 7-10 p.m. April 14 at The Atrium in uptown Charlotte. Tickets are $60 ($85 for a VIP ticket that gets you to the restaurant tables an hour earlier). For that, you'll get food samples from more than 20 local restaurants, from 131 Main to The Liberty. You also get wine and beer, a mixologist's table, live and silent auctions and live music. It all raises money for the childhood-hunger organization Share Our Strength. Tickets and details: charlottetasteofthenation.com. Breakfast: It's not just for cupcakes anymore. Polka Dot Bake Shop, 1730 E. Woodlawn, has added muffins to the lineup and is now open for breakfast. If you need a muffin fix, the shop now opens at 7:30 a.m. Muffins are $2.50 each; flavors include sweet potato cream cheese, lemon poppyseed, blueberry streusel and bran. Sad news from farm world: Dave Ballard, 50, of New Moon Organics in Mount Ulla died Wednesday, after a long fight against kidney cancer. My sympathy goes out to Dave's wife Suzanne, a regular at several farmers markets around here. Dave's memorial service is 1 p.m. Saturday at Back Creek Presbyterian in Mount Ulla. Thanks, all, for the kind words about my column Wednesday on the death of Molly Mullen, who was featured in my story last summer on tomato sandwiches. Tomato farmer Maria Fisher has offered 20 pounds of tomatoes (if they're ripe in time) for the party for Molly in July. And Kris Reid of Hope Haven says she will donate a tomato plant from the HH fundraiser to any of Molly's friends who would like to grow tomatoes to use at the party. Nice touch. Happy Friday, Stephanie Grant. You're the winner of "Home Cooking With Trisha Yearwood." Send your mailing address to me at kpurvis@charlotteobserver.com and I'll get it in the mail for you. Thanks for playing, everyone. I gather Trisha -- and Garth -- are both very popular. Stay tuned. We'll do another cookbook giveaway soon. 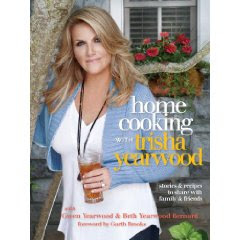 Country singer and Garth-spouse Trisha Yearwood just released her second cookbook, "Home Cooking With Trisha Yearwood." Home cooking it is, too. 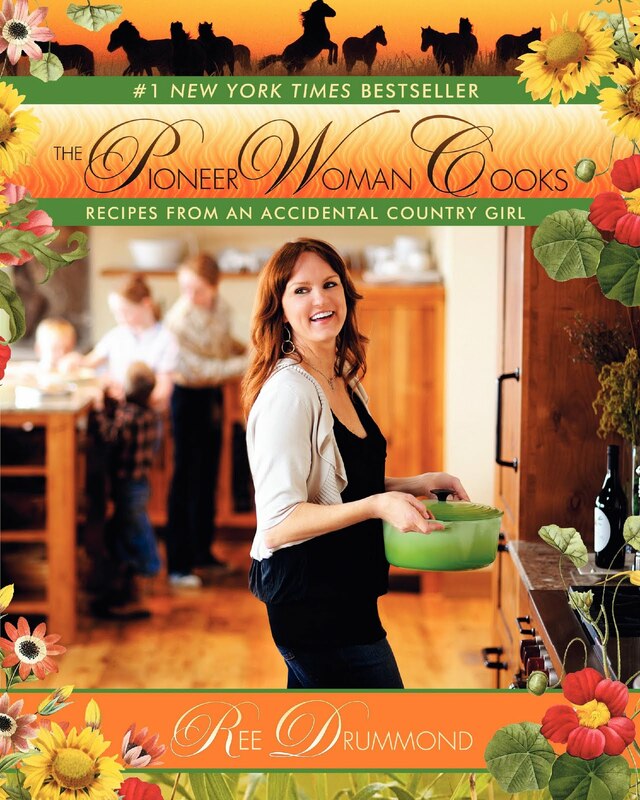 Recipes are definitely Southern, mostly easy -- and like a true Southern cook, her dessert chapter is the best. I've got a copy of the book to give away. Just post a comment right here with your name, or a nickname you'll recognize when I pick the winner at random on Friday. Charlottean Peter Reinhart is nominated for "Peter Reinhart's Artisan Breads Every Day," along with "Baking" and "Dam Good Sweet." Best chef, Southeast: Bill Smith of Crook's Corner, Chapell Hill; Andrea Reusing, Lantern, Chapel Hill; Sean Brock of McCrady's, Charleston. Also Hugh Acheson, Five & Ten, Athens, Ga.; and Linton Hopkins, Restaurant Eugene, Atlanta. Matt and Ted Lee are finalists for Book Awards/American Cooking, for "Lee Bros. Simple Fresh Southern." Also "My New Orleans" and "Real Cajun." Bunch of Southerners/New Orleanians made the list for Who's Who: Leah Chase, Jessica Harris, Paul McIlhenny, Susan Spicer, among others. Full list of nominees will be posted by noon at www.jamesbeard.org. "Top Chef" will be parking the tour truck at the Center City Green Market on The Square at Trade and Tryon on April 22, according to Charlottte Center City Partners. Part of a 21-city tour, the truck now includes table seating for 64 guests, including on-site activities like cooking demos, a Quickfire Challenge, a "Top Chef" putting green contest and a chance to have your picture taken at Judges Table. Yes, you can pack your camera and go. No word on which "Top Chef" contestants will be on hand. Come on, Kevin Gillespie -- it's just a quick drive over from Atlanta. It's free, but you have to sign up for admission. Go to www.bravotv.com/thetour. 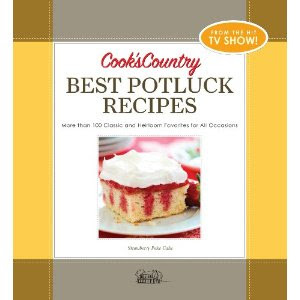 Will in Pineville: You're the winner of "Cook's Country: Best Potluck Recipes." Contact me at kpurvis@charlotteobserver.com with your mailing address and I'll get the book in the mail. Thanks for playing, everyone. And check back later this week, when we'll have a really special cookbook on the block. A few weeks back, I was pondering which winter dishes I haven't had enough of this year. And now I'm facing a perfect weekend for comfort food cooking. Wet, chilly but not really cold, and I have a weekend at home between two troughs of travel. Nothing to do but clean house, dig in the freezer and cook things. The problem is, how to decide what it will be? There are those packages of Grateful Growers pork necks I've squirreled away in the freezer, waiting for the time to make a ragout. I definitely won't be in that mood in April. There's the package of frozen duck confit I picked up at Costco on a whim and haven't gotten around to using. I have a nice bag of flagolet beans from Kalustyans in New York, too, so I have makings for cassoulet. There's the recipe for chicken and rice with curry mustard sauce from my friend Janie Schneider at the James Beard Foundation. (How can someone small enough to fit into dresses from Top Shop come up with such comforting food?) Janie and I both are from South Florida, and this reminds me of a shortcut version of the arroz con pollo I knew growing up. And while I'm picking through all those choices, I need to make a dessert to tuck away in the freezer a next weekend's mountain trip. I made another James Beard House recipe for a bake sale a couple of weeks ago, and it was almost my bar cookie ideal -- crispy crust with a chewy topping of salty cashews and butterscotch. But I thought the crust should be thicker, so I want to try it again using a smaller pan. The original came from Amy Scherber of Amy's Bread, and she used a pan size that isn't usually found in home kitchens. Here's the original recipe. I'll try again and report back. And in exchange, I'd love to hear what you end up cooking this weekend. Chilly, rainy -- how can you miss a comfort-food weekend like this? From "The Sweeter Side of Amy's Bread," by Amy Scherber. Preheat oven to 350 degrees with a rack in the center position. Great a 17-by-12-inch sheet pan (see? who has a 17-inch sheet pan? I'm thinking 13-by-9 should work -- kp) lightly with softened butter and line it with aluminum foil, pressing the foil up the sides of the pan and into the corners. Grease the foil with softened butter. Combine the flour and salt in a food processor and pulse to mix. Dice the butter into 1 inch pieces. Place half the butter in the food processor. Pulse a few seconds. Add half the brown sugar and pulse again, then add the remaining butter and brown sugar and process 20 to 30 seconds, until a coarse meal forms and the dough is just beginning to gather into a ball. Spread the crust in the prepared pan and pat it gently into the corners. Don't pack it down too much or it will be tough. Bake 5 minutes, then prick all over with a fork. Return the pan to the oven and bake 10 minutes longer. Crust should be slightly browned and soft to the touch. Remove from oven and cool a few minutes. Leave the oven on. Place the butterscotch chips, corn syrup, butter, water and salt in a medium saucepan and cook over medium heat, stirring constantly until the chips and butter have melted and the topping has just begun to get bubbly, about 5 minutes. Remove from heat and stir in the cashews. Spread the topping over the crust. Try to get it in the corners, but it will spread out as it bakes. Bake again for 11 to 15 minutes or until the surface is brown and very bubbly. Cool completely on a rack before cutting into squares. The original pan size made 25 pieces, but since you'd get thicker pieces in a smaller pan, you can cut the pieces small. They'll be very rich. Spread flour in a shallow dish. Beat eggs in a second shallow dish or plate. Combine panko and Parmesan in a third shallow dish. Pat chicken dry with paper towels and season with salt and pepper. Place each cutlet in flour and turn to coat both sides, then dip in egg, then place in panko mixture, pressing light to make crumbs adhere. Heat 3 tablespoons oil in a large nonstick skillet over medium heat until shimmering. Cook 2 cutlets until golden brown and crisp, about 2 minutes per side. Transfer to a paper towel-lined plate. Add 3 more tablespoons oil to pan and repeat with remaining cutlets. Toss cherry tomatoes, garlic, basil and remaining 1 tablespoon oil in bowl and season with salt and pepper. Transfer cutlets to individual plates and top with cherry tomato mixture. My colleague Andrea Weigl at the Raleigh News & Observer has an interesting article this morning about http://weplanusave.ning.com/, a Web-based service started by Betsy Szczypinski of Chapel Hill. Szczypinski made herself an expert on saving money by planning her family's meals around what's on sale at her local grocery stores. She's not a coupon-clipper, she's a sale shopper. Her Web service lets you enter your local store and get a weekly meal plan based on what's on sale that week. You get a free 30-day trial and then it costs $5 a week for recipes, a shopping list and a meal plan. Recipes are aimed at simple recipes for families with kids, and she focuses on both cooking for yourself and avoiding processed foods. If you try it, let me know how it works for you. Meghan H., you're the winner of "Everyday Food: Fresh Flavor Fast," from Martha Stewart Living. Send your mailing address to me at kpurvis@charlotteobserver.com and I'll get the book on its way. And for the rest of you Martha (and kale) fans, thanks for playing. 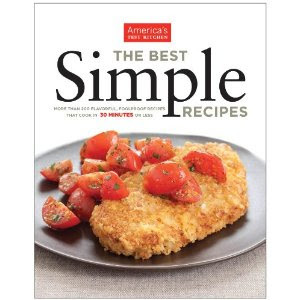 Check back later in the week, when we'll have another great cookbook to give away. I'll give you a hint: You'll have to take potluck.